While a lot has been said about Slavyansk and about how it was the Stalingrad of this war, it is hardly that and hardly ever was that. In truth, of this small theater of war, it was more akin to Kiev. Surrounded, fought to the last minute. 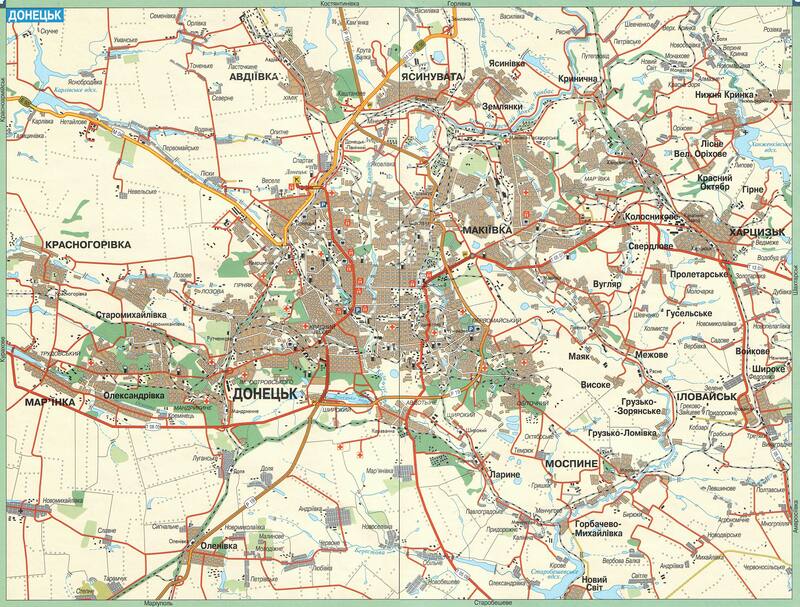 The Fall of Slavyansk was inevitable, as it is the tip stronghold and had been isolated for almost one month. Artillery fire, both conventional, white phosphorus and chlorine gas, had become the norm. Everything living was a target. The Ukinazis no longer even made pretense of "missing" a block post by a kilometer and "accidentally" hitting a church or hospital or kindergarten. Why bother with pretenses when the entirety of America's elites stand behind your genocide and laugh at the blood loss. What is interesting is just how long Slavyansk lasted. A city of little more than 100.000 souls, now down to about 30.000 soon to be murdered "liberated" souls, Slavyansk was never defended by more than about 1-2,000 rebels. They lacked most everything in heavy equipment. A half dozen light armored vehicles they captured, a couple of Grad multiple rockets systems. Other than that, some outdated RPGs, equally old Manpads and mortars. Against them, UkraNazis threw everything they had and could spare. They surrounded Slavyansk, blew up the water pumps, the electric generators and took the town under siege. Yet with all that, it has still taken the UkraNazis more than 3 months to take the town and they took it only because Colonel Streltsov led his men out, breaking the siege line and retreating to Donetsk. 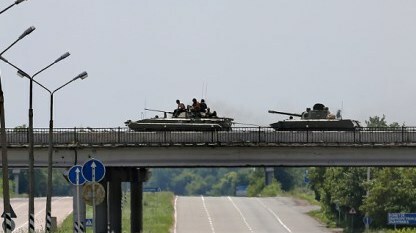 The UkraNazis lost a half dozen Grads, a dozen or more tanks, several dozen other fighting vehicles, 5-6 helicopters an at least 1 jet, with hundreds of their fighters killed and thousands injured. Though if rumor is true, many of those injured UkraNazis lived only long enough for the US/German doctors to come harvest their organs for the active market that has appeared. Donetsk is a city of 1 million, with almost 10 times as much land mass. This is a many magnitude larger problem for the Ukranazis, whose machines are 30 years old, not in the best condition to begin with and are rusting out. The one big victory for the Ukranazis was the capture of the Donetsk airport, but even this they have since lost and the airport and runways are so damaged as to be unusable. Cutting off the water to Donetsk is also quite difficult, as the city has several water ways working their way through and plenty of ponds, so water is quite taken care of. Furthermore, having so much more space, the Ukranzis will be forced to pull in 6-10 times more troops just to surround the city, let alone take it. If they want to make it air tight, to keep supplies and fighters from filtering in, it will take even more. But the bad news does not stop there. Already in the city there are over 10,000 fighters and as the Ukranazis continue to indiscrimently bomb and kill civilians, the numbers of defenders are swellings. As people realize there is no way out and its fight or die, the numbers are quickly elevating, with both male and females joining the ranks. Just last week 110 railroad engineers joined the fight after their fellow's trains were blown up and their co-workers killed. Even the miners finally crawled out of their tunnels and have formed 2 battalions and more are signing up. Lastly, as bad news, individuals and bands from Russia, Serbia, Bulgaria, S.Ossessia are flooding in. Groups from Germany, Israel, Italy and even Poland have also showed up. Many of these are former special forces and all know this is a fight to the very end. The armor and equipment in Donetsk is also much better, with tanks, armored personnel carriers and best of all a brigade of anit-air missiles and carriers, able to strike the high altitude Ukinazi fighters. All this and the fact that the rebels have no where to run or retreat means a real fight to the very end an end that the Ukinazi army can not afford. Already mutinies and rebellions as well as mothers and wives blocking posts are an every day occurrence. Unlike Slayvansk, in Donetsk and Lughansk, time is on the side of the Rebellion. Even the US does not have enough money to save Ukraine and Ukraine needs cash fast. With all the monies already loaned and given to Ukraine, its coffers have enough for only 1 more month, this after utility prices doubled and pensions were halved. Already the average Ukrainian spends 45% of his disposable income on utilities, twice as high as the worst EU countries and some 4-5 times as high as in Russia. Winter is not beyond the mountains. As the war rages on and men are butchered and new recruits refuse to sign up, Parashenko's parasite government is forced to physically draft and kidnap everyone to age 50 into service. These men leave behind jobs, business and farms, on which the Ukri and foreign banks are quickly foreclosing. Meanwhile the harvest is collapsing and the coal mines have stopped working. Gas is no longer being stored in Ukraine but directly in Europe and winter is coming. Now that the middle class can not survive on its salaries, let alone the lower class, which is close to 40-50% of the general population, economic Maidans are a sure bet. The first winter chills in Sept-Oct will drive the crowds into the streets in open rebellion and the American puppets will be swept away along with their Yanki "assistants". By that point it will be to late to worry about Donbass, when the rest of the country is starving. Stray dogs like the Polish government bastards, rejoicing in this slaughter, will suddenly find 5-10 million Ukarnazis flooding their borders. Least we forget that the fathers and grandfathers of these Ukranazis murdered several millions Poles. For bread I am sure they will be happy to start looting Poland. That the two deserve each other's knives, is beyond a doubt. There is a good chance that this winter, Poland may burn too...and with hope this will launch ten million Poles into Germany and the UK. So the rebellion is far far from crushed, no matter how much Western oligarch news wants you to believe otherwise. The real battles have hardly started and the warm ups proved almost to much for the nazis.This is not Germany 1941. The retreat of the Ukranazis, coupled with the partisan war that is just starting up, will embolden other parts of Novorussia to rebel. It will be a push on effect across the south and east. Below are some news vids of the latest that is happening. Watch in horror. UkraNazi camp for children. By the 48th second is when the nazi salutes start coming. This, US/EU is what you are supporting. Sick bastards. UkriNazis laughing as they shoot up the town and civilians of Slayvansk. This is the suburb of Lughansk, Alesandrovka. 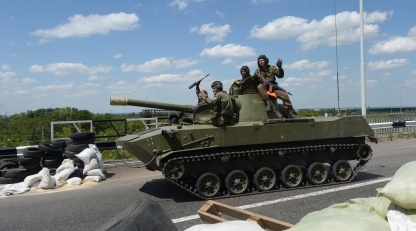 The UkraNazis are bombing everything, rebels and civilians, with artillery and air strikes. More Ukranazis bombing civilians and crossing points on the border. Air strikes with US made bombs devastate a village in the Lughansk suburbs. Aimed specifically at a street of houses with ZERO rebel activity. I wish I could donate money to the cause of justice there without getting arrested. Or if there is a way to send cold, hard cash, let us know here. The Bear hasn't even stirred yet. There are some gnats and fleas agitating the Bear and when it finally awakes they will be crushed like grapes.